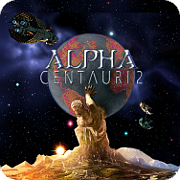 While running the original release of Alpha Centauri, I hit a limit on the number of units I could have in the field at around 1000+ units. I have also tried running the sav file with SMAX using the GOG Version and it had the same problem. Browsing the internet, I see documentation that the limit is at 2000+. So I have two questions: a) why exactly does my game have such a lower limit and b) is there any way to change that. The scient patch I tried kept crashing for SMAX whenever I made new units. 'Cuz it's an old game. It was made in an era when we didn't have PC hardware remotely as powerful as we do today. The original game has a 256 color palette. It only allows 256 unit designs. This was all to save memory. and b) is there any way to change that. You could try reading the wiki pages about Yitzi's patch to see if he did something about it. Human behavior is economic behavior. The particulars may vary but competition for limited resources remains a constant. Need as well as greed has followed us to the stars and the rewards of wealth still await those wise enough to recognize this deep thrumming of our common pulse. Page created in 1.005 seconds with 37 queries.